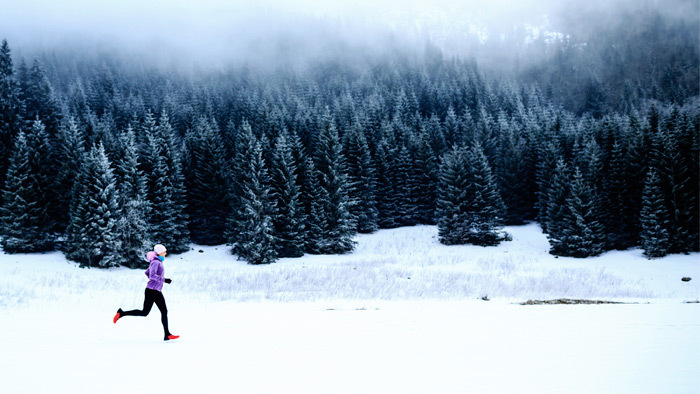 In the coming weeks, many athletes will begin what they consider to be their “winter base training” in preparation for the spring and summer racing season. If you find yourself in this situation, consider the training components you plan to incorporate during the winter so as to ensure that they support your spring and summer goals. Many runners will describe base training as a period of time in which they run easy mileage to prepare for the more intense workouts that will come later in the training cycle. The image of a pyramid is often portrayed with the phrase, “the bigger the base, the higher the peak!” While athletes have excelled with this methodology, a different approach to early season preparation may offer a more appropriate primer for the higher intensity work to come. As a competitive runner, if your idea of a base phase is primarily easy paced mileage, you may be missing out on attaining higher levels of fitness. Instead of laying a base of one type or intensity of training, think of early season training as more general, meaning you are doing a bit of everything. Ultimately training should become more specific as your goal race nears. Here are quick thoughts from two coaches that may help give more context to this concept. When referring to the base building process, accomplished coach Dan Pfaff is fond of asking, “A base of what?” Pfaff contends that during early season preparation, specific work capacity (race pace) should not be ignored. This doesn’t mean jumping in full bore. Certain volumes and paces may need to be adjusted, but they can be implemented and progressed towards the specific task through the entirety of a general phase. Long-time coach, Vern Gambetta often uses the terminology, “foundation training.” This captures the same idea as specific work capacity. The foundation has to be appropriate for what is going to be built on it. The size, structure, and materials used in constructing the foundation for a two story home wouldn’t work very well for a skyscraper. In a similar way, ignoring certain paces and intensities for several weeks or months limits your ability later in the season. In a program that emphasizes moving from general to specific training, all components (running and ancillary) are utilized throughout the training block. The changes that occur with those components are the volume, intensity, and frequency as the program progresses towards the goal race. What Does General Training or General Period Mean? To define general training, think of it as all-encompassing, including components that support the specific goals. The general period is a time to work on extremes while introducing the specific tasks in appropriate amounts. If a 10K race is the goal, harder workouts should contain some amount of 10K paced work. To compliment this, other challenging workouts could be completed at mile race pace or marathon race pace (speeds that are faster and slower than goal race pace). As the training block progresses, harder workouts should become more specific with volumes and paces resembling the desired goal. Other workout paces, above and below race pace, should still be employed, however their application will most likely be reduced in favor of the specific components. Additionally, during early season general training, more variety may be used with ancillary menu items. Disciplines like weight lifting, cross training, or neural training may be used with greater frequency with an aim at addressing individual weaknesses. As you near key races and all forms of training take a bend towards being more specific, certain ancillary components may be reduced or even discontinued in favor of routines that enhance recovery. If a person wants to improve a skill, for the most part, he or she needs to repeat the task to gain mastery. The timeline will vary greatly, but repetition and practice are key. The same goes for a training stimulus. Applying a stress to the body in an explicit way will cause adaptations directly related to the stress. Consistently providing this stress will allow for the adaptation to stabilize. Stabilization of an ability is what allows improvement to be actualized in a competition. Using the 10K goal race example from earlier, the more time you spend doing 10K specific work, the better your body will be prepared from a metabolic and neuromuscular standpoint when it comes time to race. Of course, you need to plan appropriate recovery in between any kind of challenging session. The idea is not to see how many days of 10K paced running you can string together. Rather, it is to ensure that you consistently include this pace early on in the training block in some capacity to ensure you begin preparing your body for the specific task. Effective training plans don’t need to be a cornucopia of workouts that are always changing. They should however be comprehensive, consistent, and progress from general training to more specific. Design plans that are well rounded with training intensities and supportive ancillary components. Workout themes need to build toward the specific race task. Every component should have a purpose; evaluate what is included and ensure it supports your specific goal from the onset.